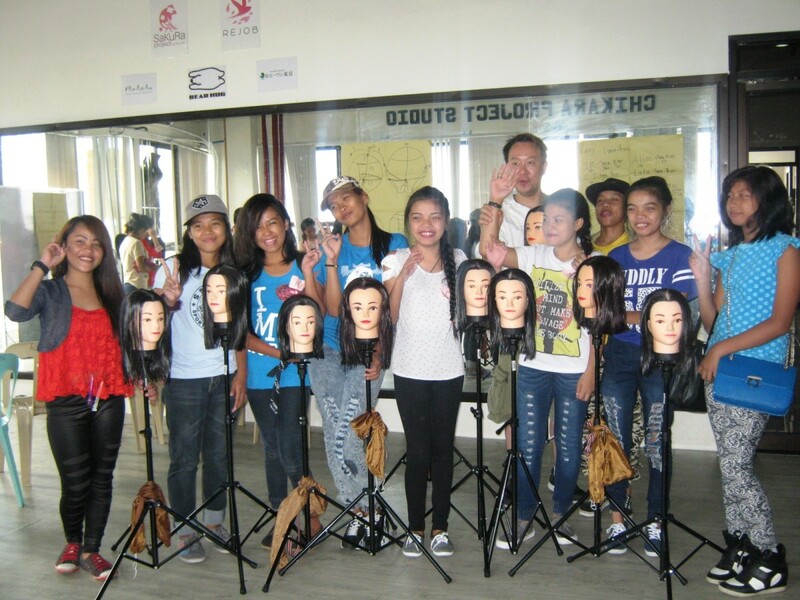 On its 4th Annual Hair Camp held from May 30 to June 1, 2016, ACTION hosted another promising activity for the beneficiaries of Hasami no Chikara (Power of Scissors) project. It was a fun and encouraging 3 day training made possible by the supportive volunteer instructors: Mr. Kazuhito Koshigaya, Mr. Yoshinori Kitahara, and Mr. Hiroshi Koyamazaki, who are well known in the hairdressing business in Japan. Hasami no Chikara, a project under ACTION’s Chikara Programs, intends to equip underprivileged children and youth with marketable skills in hair styling so they can have a better income opportunities later in life. 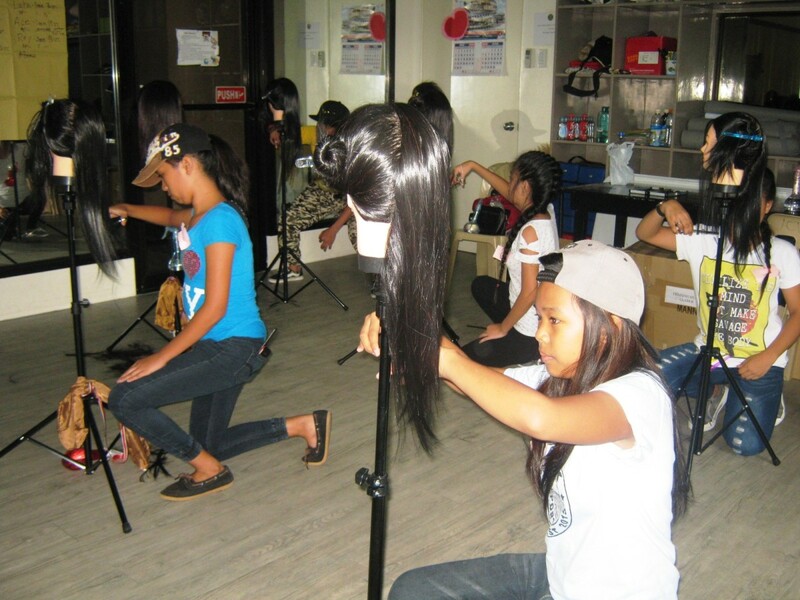 The ACTION-CHIKARA Project Studio in Olongapo became a training ground for 18 children (2 male and 16 female), aged 15 to 17 years old, coming from the different child caring facilities and communities in Olongapo, Bulacan, and Quezon City. The hair camp provided a chance for children to experience and learn the different methods of hair cutting and hair styling. It was also hoped that the training activity also inspired the children to continue learning and to love this craft. 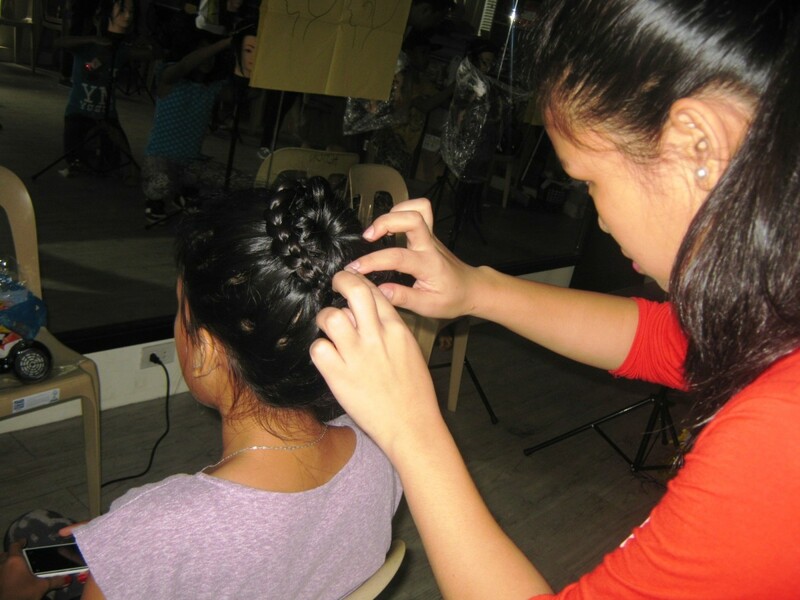 To further the children’s learning, ACTION will conduct monthly training in its Chikara Studio in Quezon City to be facilitated by two of the finest hair stylists in the Philippines today, Mr. Jude Hipolito and Mrs. Rose Velasco-Hipolito who are active supporters of ACTION’s projects. Mr. Koshigaya, one of the Hair Camp trainers, also designed a training guide for the weekly practice of the children which can be used in the Chikara training studios or residential care facilities. The children who attended the hair camp appreciated learning new haircut techniques and exploring new hair styles. They also valued their interaction with their instructors and fellow trainees. The children also expressed that putting their heart in this endeavour is equally important with having the correct knowledge and skills in hair cutting, in order to succeed. All of them are eagerly waiting for the next Hasami no Chikara Hair Camp. The annual hair camp brings different ways where children’s ability can grow. With the constant training and mentoring by their finest instructors, children will never fail to advance and be competent in the field of hair cutting and hair styling. ← ACTION Chikara Dance Recital and Karate Exhibition 2016! CALL FOR APPLICATION – EXTENDED!